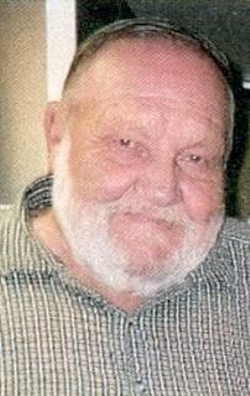 Lyle Ahrendsen, 78, of Wyoming, Iowa, died Saturday, November 20, 2010, at his home. A celebration of his life was held at 10:30 a.m. Wednesday, November 24, 2010, at Lahey Funeral Home in Wyoming, Iowa, where military honors were accorded by the Wyoming American Legion Post #259. Friends called from 4 to 7 p.m. Tuesday at Lahey Funeral Home in Wyoming. Lyle Ahrendsen was born January 21, 1932, in Jones County, Iowa, son of Arthur and Tillie (Carstensen) Ahrendsen. He graduated from Wyoming High School in 1949, and went into the Army, serving during the Korean War. He married Marcia Chesmore on September 11, 1955, at the United Brethren Church in Olin. Lyle farmed with his dad and on his own for several years and managed the Little Bear Golf Course for ten years. He then went on to work for Dirks Hilltop Station in Wyoming, until he retired. Lyle and Cliff Dirks were best friends. He worked his last years at Cliff's station, delivering fuel and pumping gas and fixing tires. He loved it all. He enjoyed golfing, cutting wood, deer and pheasant hunting, and going to football games. Above all he loved his family and was proud of his kids and grandkids. He is survived by his wife, Marcia Ahrendsen of Wyoming; his children, Scott (Joe Ann) Ahrendsen of Tipton, Steve (Monique) Ahrendsen of Roseville, California, Susanne Snead of Oxford Junction, Mike (Lawana) Ahrendsen and Jeff (Sandra) Ahrendsen, both of Cedar Rapids; twelve grandchildren, eight great-grandchildren; and one brother, Leo (JoAnn) Ahrendsen of Mechanicsville. He was preceded in death by his parents and one sister, Janice.